This post is pretty much the antithesis of my previous post on Paleo Vegetarian Lasagna. We til have eggplant arriving by the bushels (or so it seems!) and I HAD to find a way to use it that we would enjoy… so why is this this opposite??? Well… I really liked it, but the rest of the family didn’t! I thought they would since it was a finger food with a dipping sauce and “breaded”! But that tells you how much I know my family! I will admit that I may have been a bit heavy handed with the cayenne pepper, but the boys always want to add hot sauce to everything, so I can’t believe that could have been the cause! At any rate… I’m posting this because I liked it, but the rest of the kiddos didn’t… or so they say. The did complain about eating it and didn’t ask for seconds, but did thank me for dinner afterwards! Generously salt one side of eggplant and let it sit for about 20 minutes. Repeat step #2 on the second side – generously salt one side of eggplant and let it sit for about 20 minutes. Dry again and slice into french fry size. 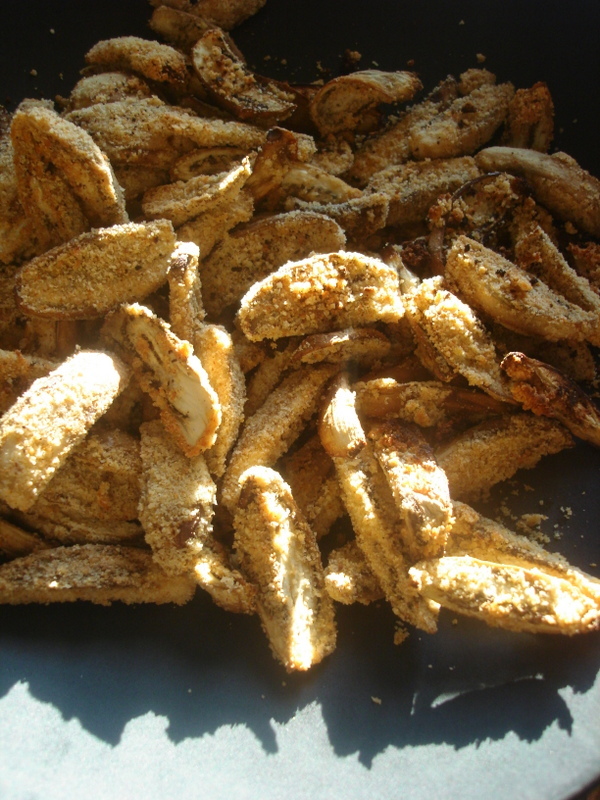 Place almond flour mix and eggplant in a bag and shake until completely covered. Spread out on two baking sheets and bake for about 40 minutes or until tender and brown. 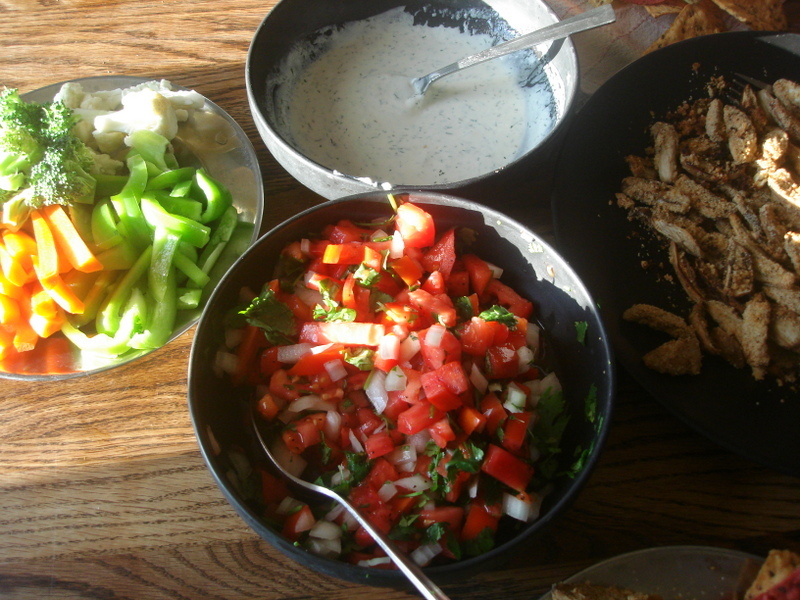 And for a dipping sauce I mixed up a batch of Primal Ranch Dressing from Mark’s Daily Apple. I did change up the ingredients a bit to make it dairy free. So I’ll post his recipe below with my changes, but I certainly didn’t come up with this recipe at all. So there it is! Give it a try on your family and let me know what you think! And what they think!! !